Triple Barn Door Wall. Photography by Mark Bealer of Studio 66. 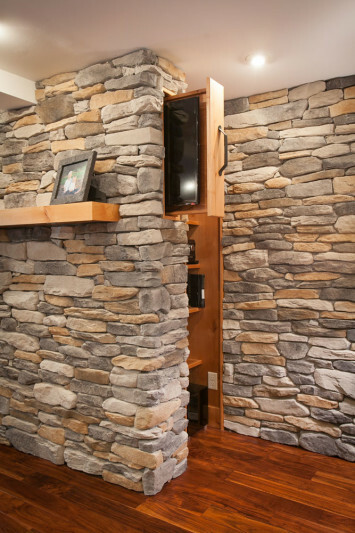 Stone wall with hidden storage. Photography by Mark Bealer of Studio 66. Close-up of the storage located behind the stone wall. Photography by Mark Bealer of Studio 66. 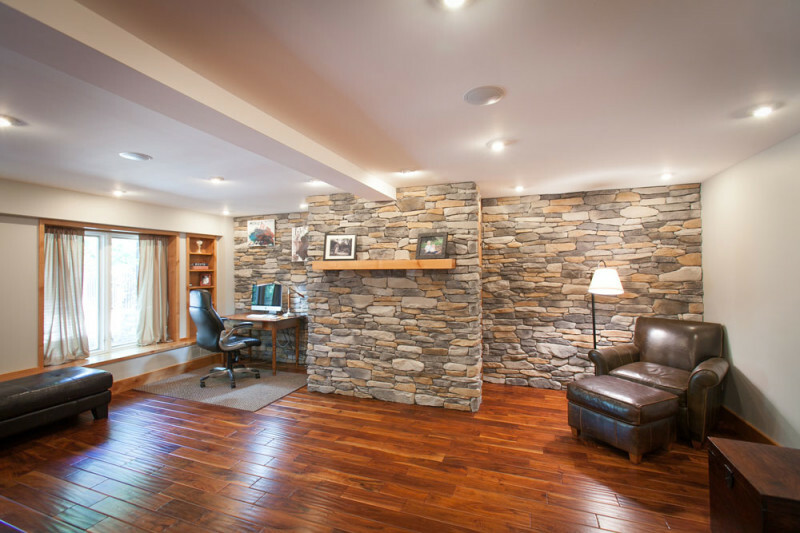 My clients called me in to assist them with their basement renovation. 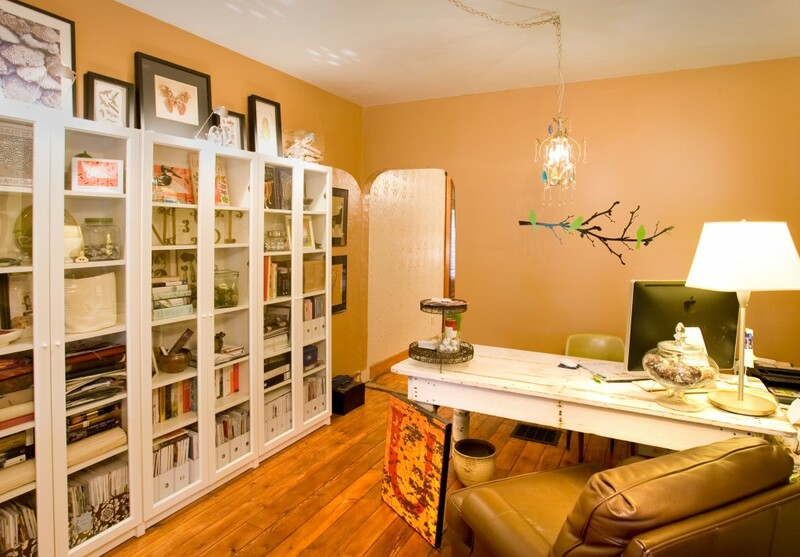 This space was originally the garage and had been converted to a guest bedroom. When we discussed options for this area in the home, both homeowner’s expressed a need for a retreat within their house. The husband wanted an office he could work from during the day and the wife wanted a retreat for where she could practice yoga. The end result is a combination of both of their desires. There is a TV set that pulls out from the side of the stone wall, that allows them to entertain or watch movies, but it also tucks away. The shelving, on both sides of the stone wall, allows them to stash office supplies, stereo equipment and yoga weights from view. 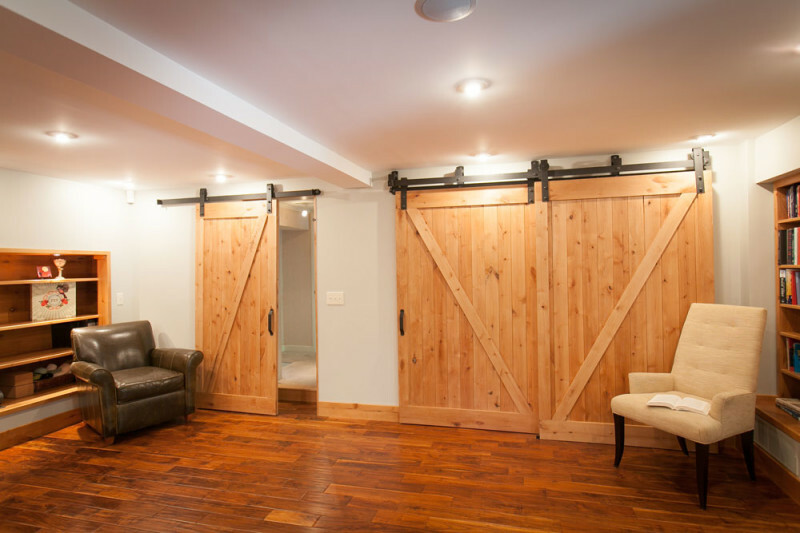 The triple barn door wall adds visual interest. 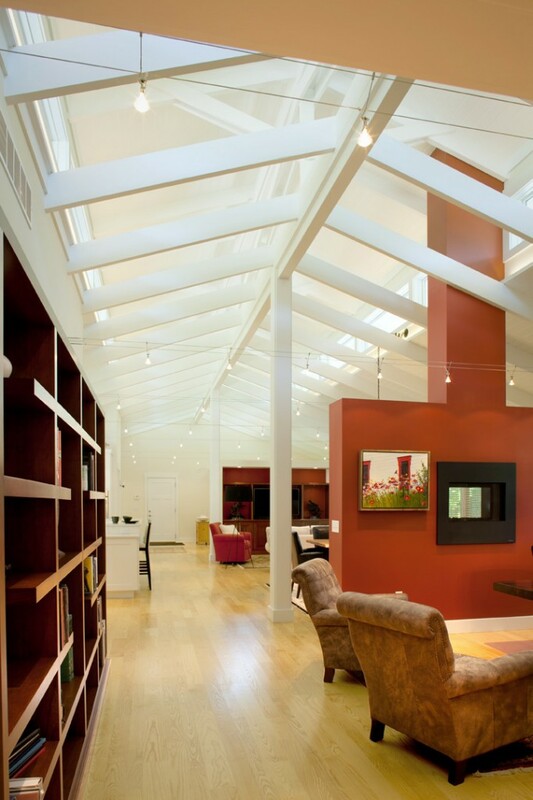 The double barn door section conceals the utility area and the electric panel from the rest of the space. Greene County Fireplace, Cabinetry and Living Area. See-thru fireplace and overall living area. This image captures the see-thru fireplace wall, the seating area at the end of the office desk and the edge of the custom bookcase that I designed. It also shows the overall layout of the living level of this home. 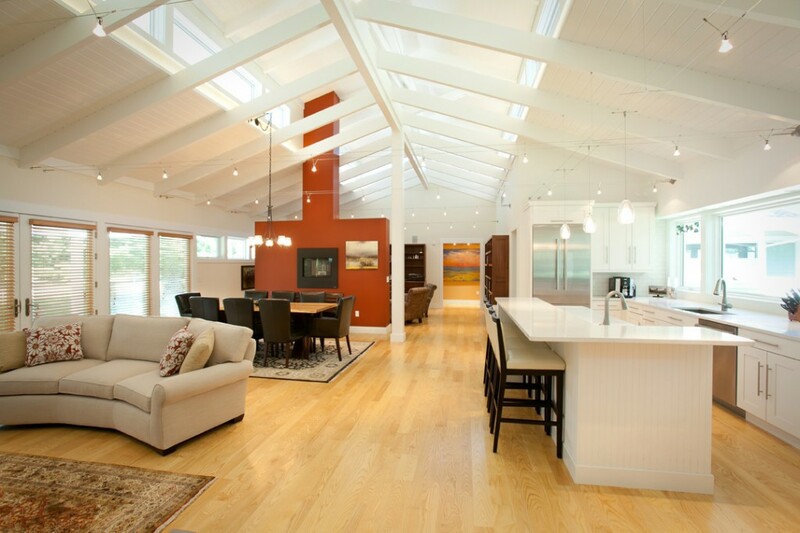 This image also shows off the beautiful clerestory roof and the LED lighting that illuminates the clerestory. The TECH cable lighting spans the width of the house and disappears when you are in this space. The rust colored paint on the fireplace wall adds a pop of color and really warms up the office and dining room (not pictured). Photo by Bealer Photographic Arts. This image gives you a more detailed look at the custom cabinetry that I designed for the office. 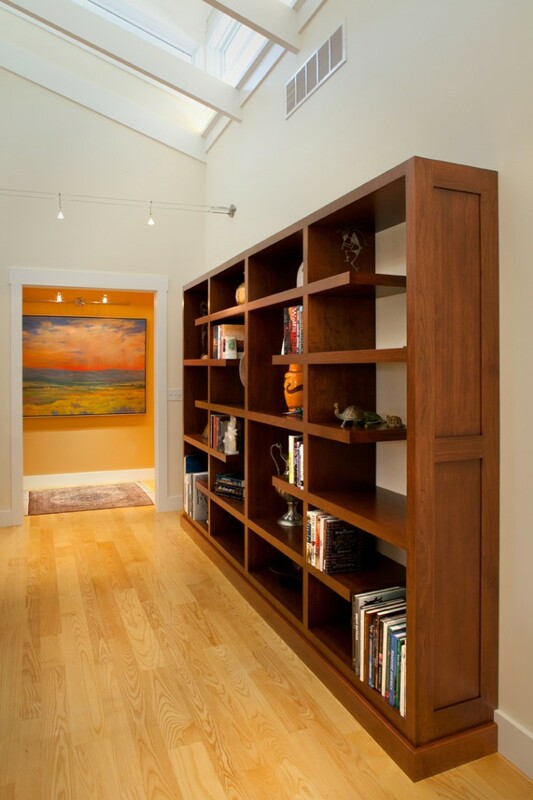 The cantilevered shelves give the bookcases a visual line of interest and compliment the lines throughout the house. Photo by Bealer Photographic Arts. Overall image of the living level of this home. This image captures the overall living level of the home. You can see how the seating area is situated in front of the dining area. The see-thru fireplace wall divides the office from the rest of the space. The clerestory roof created a lighting challenge since we were not able to put electric into the roof. The TECH cable lighting system was used throughout the house and gives the owners the flexibility to move the individual heads along the cables as needed. The light heads also rotate 360 degrees. We also added LED lighting under the clerestory windows as a secondary source of lighting. The space glows at night when the LED lights are being used. The house is absolutely magical in person. Photo by Bealer Photographic Arts. The above image highlights a wall where I used the client’s historical product photographs. 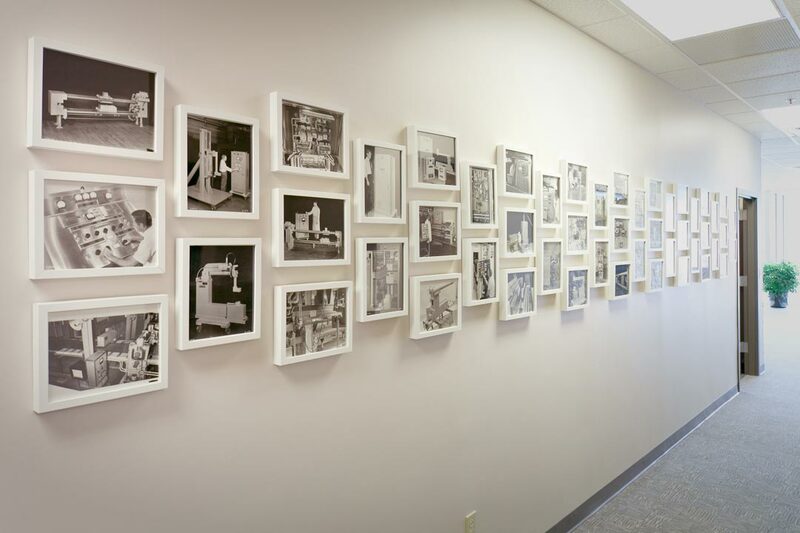 The wall is located just outside of the conference room and showcases the product development over the years. 5o black and white images were placed in white frames and arranged on the wall. The above image shows the new office systems that Nest Designs selected all the finish materials for. 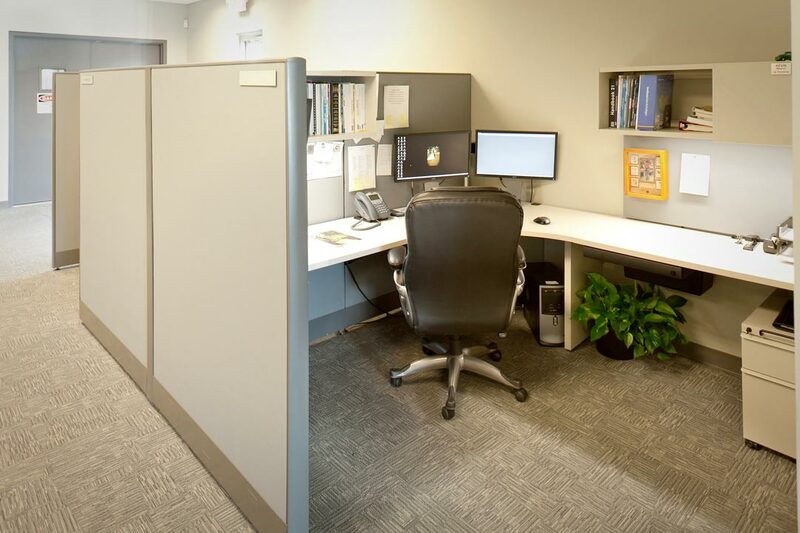 Since the client forecast a need to move various offices within the building, it was important to select a color scheme that would work with existing office divides and future office systems. 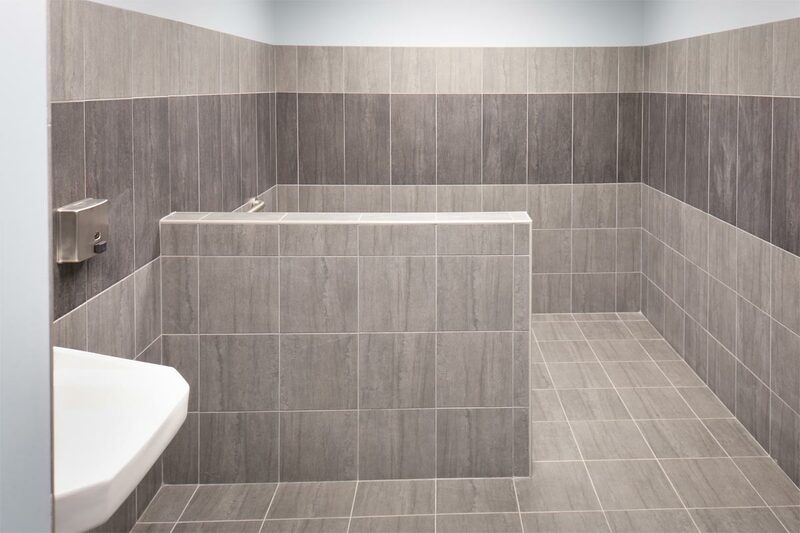 The below image shows the tiles Nest Designs selected for the restrooms. Running the over-sized tile planks vertically helps to make the bathroom feel taller. Photos by Bealer Photographic Arts. This is the office of Nest Designs LLC. Located in Historic South Park near the University of Dayton and Miami Valley Hospital. 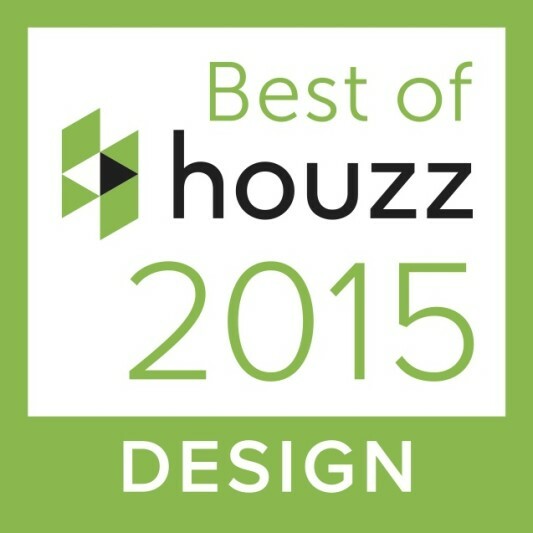 Proudly serving Dayton, Columbus and Cincinnati Ohio. Photo by Bealer Photographic Arts.